Emin Gün Sirer, distributed systems expert, and others from Northwestern University as well as Cornell University, have proposed a new method to increase blockchain scalability without any protocol changes or consensus requirements. BloXroute claims to address scalability by adding not second layers, nor making any changes, but by increasing the efficiency of Layer0 or the underlayer, so providing significantly higher capacity. 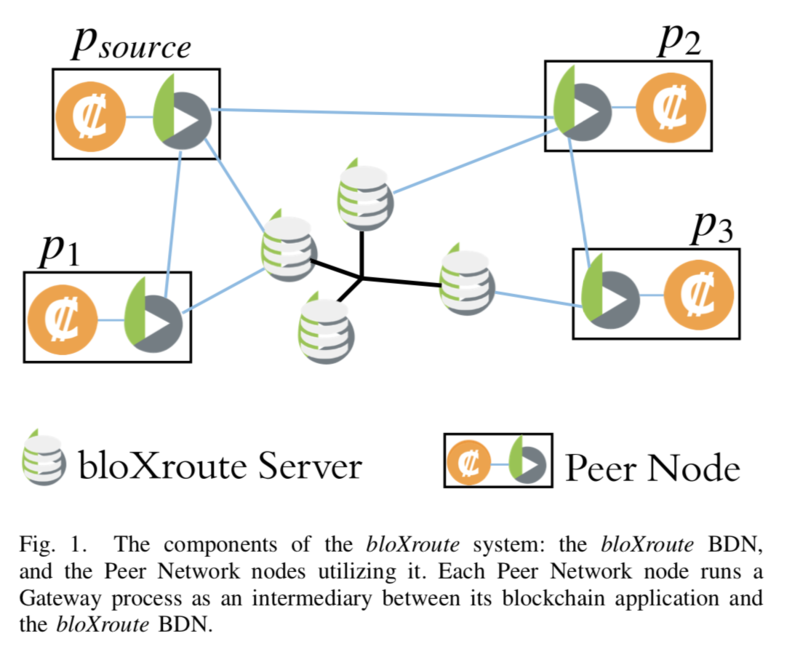 “BloXroute implements and provides an efficient broadcast primitive to the blockchain nodes, via a network of Gateways, making them operate as if they are on the same Local Area Network, while in reality they might be residing at opposite parts of the globe. “While centralized systems place trust in a subset of nodes to enable scalability, bloXroute enables scalability by using a small set of servers which place trust in the entire network instead. The system utilizes a Blockchain Distribution Network (BDN) to enable scaling, yet nodes need not place any trust in the BDN. Instead, the BDN blindly serves the nodes, without knowledge of the blocks it propagates, their origin, or their destination. 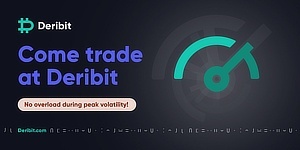 Moreover, its behavior is constantly audited by the nodes it serves, and it is incapable of discriminating against individual nodes, blocks, and transactions. For those of you familiar with the FIBRE network, this basically sounds like a decentralized or trustless version with part of the team having previously created Falcon, which is somewhat similar to FIBRE. The protocol therefore addresses block propagation, or the broadcasting or the communicating layer of blockchains. That being the efficiency with which nodes “talk” to each other in saying “hey, I have a block, do you want it,” and so on. Its usage, therefore, does not require any permission or any consensus changes. Anyone running a node, including mining node, can just use it if they want to. With the primary bottleneck addressed here being orphans or uncles, that is when two blocks are found at the same time, so creating a fork, necessitating the discarding of one block. 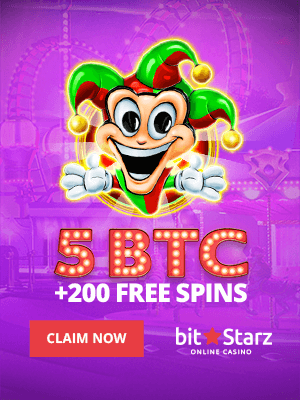 These events are fairly common and almost a daily occurrence, especially in ethereum. A certain level of them is excusable, but a point can be reached where there are so many such tiny forks no one knows any longer what chain-tip they should be building upon. These mini-forks happen mainly due to inefficient communication between nodes. Rarely a block is found at precisely the same time, but once it is found it needs to be communicated and that communicating period can lead to another block found thus creating a mini race of sorts for the winning blockchain. The innovation here is this trustless or distributed nature of the bloXroute LAN like nodes network. Arguably in bitcoin this specific layer is dangerously centralized because the FIBRE network used by BTC miners is centrally controlled by just one individual who can simply shut it down or can potentially censor transactions and so on. While in ethereum they do not even have a likewise underlayer efficiency protocol. The main reason is because eth hasn’t really seen capacity bottlenecks until recently and is focused on sharding. BloXroute is complementary to sharding, Plasma, the Lightning Network, and so on, and is actually currently live at small scale. The scalability problem is therefore being tackled on all fronts, from underlayers, to second-layers, to parallelization through sharding and much more. Some of it is even out, currently being refined, with plenty more in testing that may debut even this year. Which means our self-imposed deadline of 2020 might even be met, when blockchains finally can be ready to meet all of the required demand.